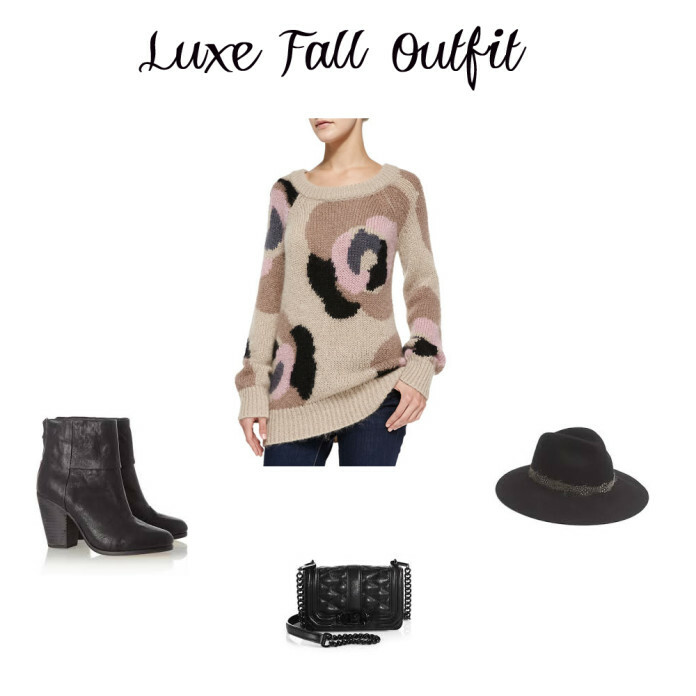 I totally love this luxe fall look! I think this Kate Spade sweater is baggy enough that if I order up a size or two that it will look cute even though I am pregnant and then just look like an over sized boyfriend sweater for next season. 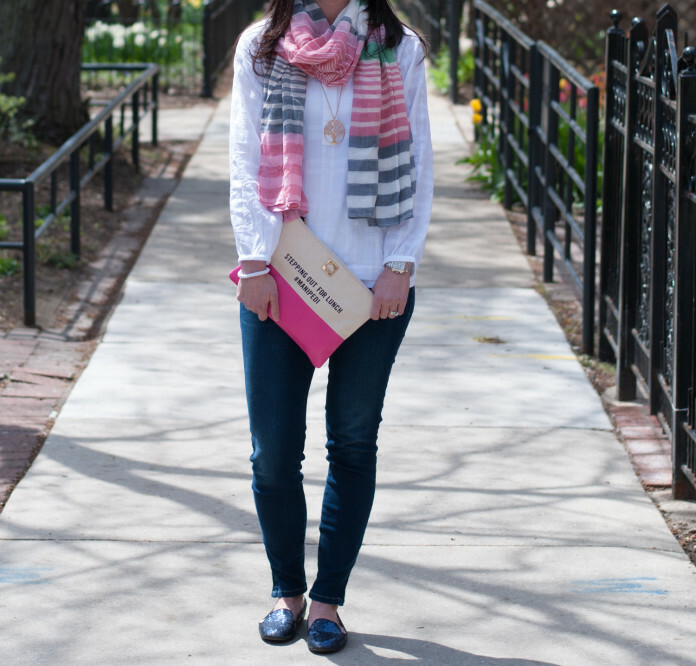 Since there was still a crisp cool breeze on this lovely spring day, so I decided to pair my Boden scarf and glitter loafers. I wanted something light and airy, but still kept me warm. This combination fit the bill perfectly. This is the outfit that I wore to the Lucky FABB brunch. It was held outside on a beautiful and sunny Saturday. The overall outfit theme that day seemed to be bright colors. While I chose a simple white eyelet dress, my accessories gave the whole outfit the pop of brightness and pop of color that it needed. The next sentence is going to be really shocking to all of you. 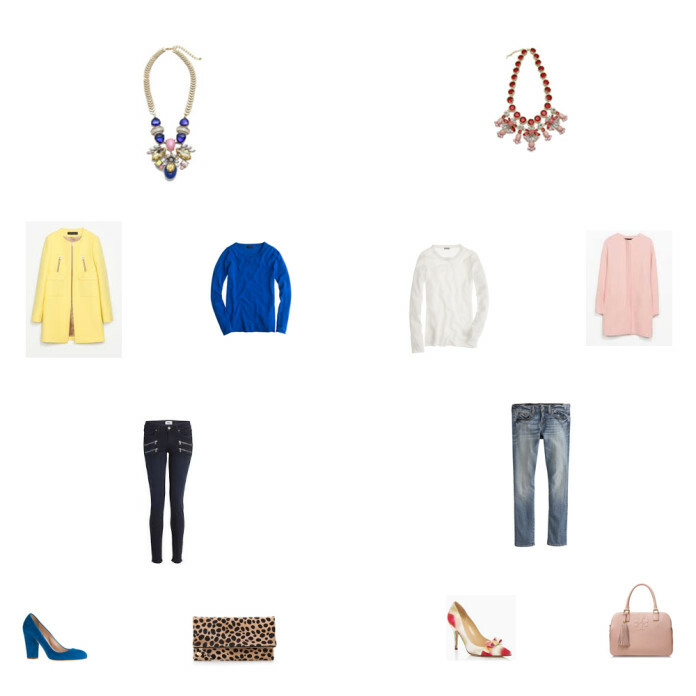 I started with a necklace and then built an entire outfit around it…and then I did it again. Why, you might be asking. Well, because I couldn’t decide which one I liked more.